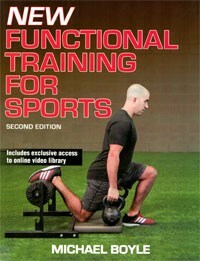 New Functional Training for Sports, 2nd ed. New Functional Training for Sports, 2nd ed. 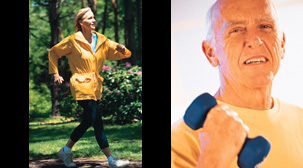 provides training principles to enhance performance in a wide variety of sports. Recommended for: Elite athletes and competitive weekend warriors. Michael Boyle has amassed quite the resume during his coaching career. He has trained athletes from middle school all the way up to the professional level. From 1984 to 1997, he was the head strength and conditioning coach at Boston University. From 1990 to 2012, he was the strength and conditioning coach of the men's ice hockey team at BU. In 2012, Boyle joined the Boston Red Sox as a strength and conditioning consultant. They won the World Series in 2013. He has also trained athletes in the NFL, 2012 Olympic gold medalist in judo Kayla Harrison, and Liverpool striker Daniel Sturridge. He now provides performance-enhancement training at his Boston gym Mike Boyle Strength and Conditioning, which has been named as one of America's 10 Best Gyms by Men's Health magazine. The fundamental principle of Boyle's program is that training sessions should mimic as closely as possible the actual movements that an athlete must produce during competition. This is called "functional" training, hence, the title of this book. Differs little from sport to sport. Should be done without machines. It initially uses body weight as the source of resistance. Utilizes controlled amounts of instability in order to stimulate balance and proprioception. Teaches athletes how to handle their own body weight. Should involve multiple joints simultaneously. • "Distance running is overrated; improving an athlete's VO2max doesn't improve performance." Wow, how's that for dispelling a widely-held view? In Chapter 2, Boyle explains, very logically, that long-distance running is not the way to improve performance in sports that involve short, intense sprints separated by periods of standing or sitting. There are plenty of examples: tennis, basketball, baseball, football, etc. Boyle disagrees with the belief that distance running is justified for soccer players because they may run several miles during a game or for tennis players because a match might last 3 hours. The way to improve speed and quickness required in a short burst is to base the training program around developing power and strength, and speed and agility drills. • "No sports skills are performed by one joint acting in isolation." No sports (except perhaps arm wrestling!) involve only one isolated motion. For this reason, Boyle is not a fan of weight-stack machines and other exercises that target only a single muscle group. Rather, he prefers exercises like throwing heavy medicine balls against the wall, the use of slide boards, and other technics that challenge multiple muscle groups during a single repetition. • "Other than rowing, no sports are played while sitting. So, why train in a seated position?" This statement exemplifies Boyle's philosophy that "functional" training is the best way to improve athletic performance. Almost all of Boyle's exercises are performed while standing. • "Stabilizing a joint too much can lead to excessive stress on the joint(s) above it." In an attempt to prevent ankle injuries, excessive taping and bracing of the ankle may be the cause of increased knee injuries. Likewise, stabilizing the knee too much leads to more hip injuries. The book explains dozens of specific exercises across these 6 categories. They are presented as a "Baseline" exercise first, and then several options for reducing the difficulty ("Regressions") or increasing the difficulty ("Progressions") follow. Almost all of the exercises are accompanied by a color image of an athlete demonstrating it. The final chapter presents several complete programs. • Photos & Illustrations: Throughout the book, there are many color photos of athletes demonstrating specific exercises. Most are adequate, but several of the photos could have been better. For example, in photo 6.16 (p. 101), the athlete's left leg is not viewable because it is behind the plyo box. So, we aren't sure if his left foot is on the ground. This photo would be better if shot from the other side, or from the front. In photo 7.13 (p. 128), our view of the cable configuration is blocked by the athlete's body so we aren't certain what motion is being performed. In both of these examples, the caption clarifies the exercise, but, nonetheless, photos for these exercises could be better. In some cases, superimposing the before and after positions into one image doesn't help. There are no illustrations. • Tables & Graphs: There are many tables in the book. Most are useful, but some of them are difficult to understand due to the shorthand and terminology the author uses. For example, Table 8.3 (p. 156): For week 3, it says "2x2, 2x1". This means: on the first day of the week, do 2 sets of 2 chin-ups. Then, on the 2nd day of the week, do 1 set of 2 chin-ups. Some of the tables in Chapter 11 use the term "spiderman pos." I've never heard this term. I looked through every single exercise in the book and I don't see any of them with this name and it wasn't listed in the Index. This may seem picky, but, on page 176, the author himself writes about the importance of using terms clearly where he explains how terms like jump, hop, bound, and skip have different meanings. There are no graphs. • Documentation: This is not a scientific book. However, the author does cite several published research studies in some of the chapters. My favorite aspect of this book is the logical intelligence that Boyle presents. Even though this is not a scientific book and, thus, is not written with extensive citations of published research, you find yourself saying "that makes sense." The results he has achieved with athletes across a diverse spectrum of sports validates that Boyle's training philosophies work. On p. 206, in Chapter 11, the author summarizes the 6 basic elements of his training programs. This section should appear in Chapter 4: "Designing a Program". Also, Boyle's programs are designed around "baseline" exercises which are then modified up or down in difficulty depending on the athlete's ability and technic. Some of the modified technics have names that are a bit nebulous. For example, for the Squat exercises on p. 93-97, one is named: "Feet Elevated Dumbbell Deadlift". How these exercises are presented could be improved by the following: The name of the Baseline exercise should be included in the title (label) of all of the Regression and Progression exercises that modify it. So, for the example above, on the first line (red panel), name it "Squat - Progression 2" and then list "Feet Elevated Dumbbell Deadlift" on the following line. Doing so would unify each group of exercises (ie., baseline, regressive, and progressive) into a common group, thus, enhancing the useability of the book as a quick reference for readers unfamiliar with Boyle's program. Regarding the photos: A larger photo, zooming in closer, or shooting from a slightly different angle would make it easier to figure out what the intended motion is. Directional arrows would also help clarify the movement being demonstrated for some photos. I really like this book. There are oodles of athletic training books on the market and I have to say that I feel this one stands out. You will learn training principles here that most other books don't convey. As a result, I recommend New Functional Training for Sports highly. Definitely 4 stars!